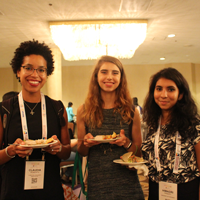 The conference featured several inspiring keynotes, including one by CRA-W board member Ayanna Howard, Georgia Institute of Technology. CRA-W also presented career mentoring content for GHC attendees interested in research. 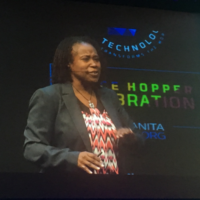 The 2016 Grace Hopper Celebration of Women in Computing (GHC) was held October 19-21, 2016, at the George R. Brown Convention Center in Houston, Texas and broke last year’s attendance record with over 15,000 participants this year. 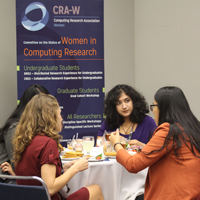 For the 8th year in a row, CRA-W presented career mentoring content for GHC attendees interested in research. 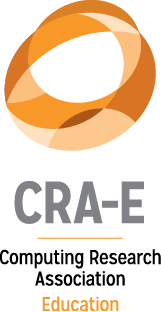 CRA-W Board Member Tracy Camp (Colorado School of Mines) designed this year’s program, organizing the mentoring program into three tracks for early-career academic researchers, graduate students, and undergraduates. 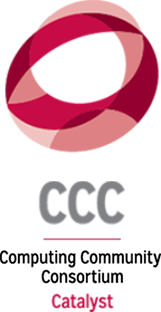 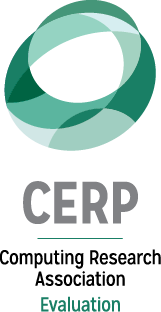 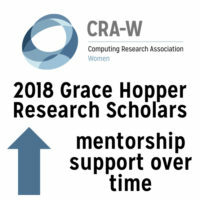 Brand new for 2016 was the CRA-W GHC Undergraduate Research Scholars Program, spearheaded by CRA-W Co-Chair Nancy Amato (Texas A&M University) and CRA-W Board Member Andrea Danyluk (Williams College), which provided funding for undergraduates to attend the conference, and guidance for finding and navigating the research content at GHC.